Price includes one Aluminum Block engraved. Additional Blocks (SG183-2) can be engraved for $10.00/ea. 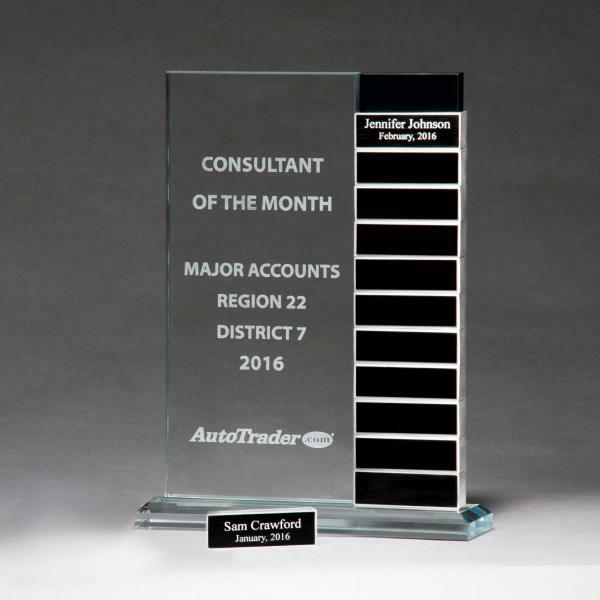 Jade Glass Award with 12 Individual Aluminum Blocks. 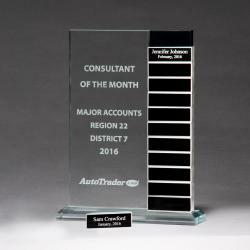 Perfect for Monthly Recognition or Milestone Awards.